It’s another book I bought from a housemate, but it’s also a book I’ve been meaning to read for YEARS. So much of the book was familiar, because the stories have been told and retold. I jumped out of bed that morning with one question in my mind – sun or fog? First, if you don’t know the story, the Ten Booms were a family in Holland who coordinated the hiding and rescue of Jewish friends – and eventually strangers – during Nazi occupation. They were eventually arrested and sent to various concentration camps. 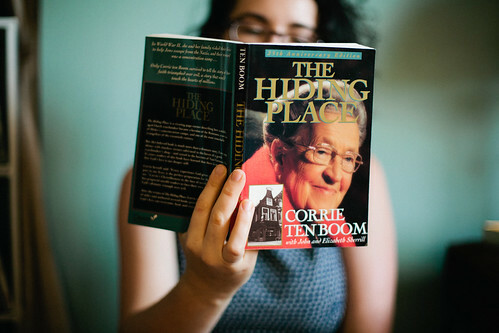 Their Christian faith permeates this book, in their nightly ritual of reading the Bible as a family, in their sacrificial love of neighbor, and in the love and joy Corrie and her sister share with their fellow prisoners. It was difficult and beautiful and ultimately inspirational – I want to trust God with the same unwavering faith.